Five Supreme Court justices helped unveil a statue of their former colleague, Antonin Scalia, at the law school that now bears his name. 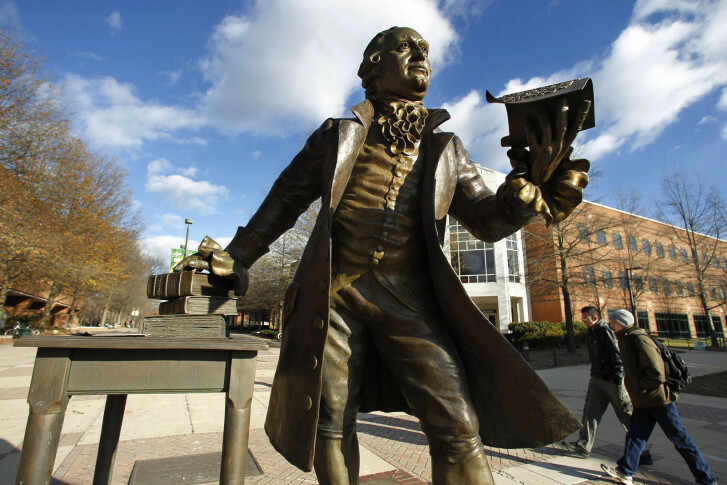 George Mason University’s Antonin Scalia Law School debuted the bronze statue Thursday at its Arlington campus. Chief Justice John Roberts and justices Samuel Alito, Neal Gorsuch, Elena Kagan and Clarence Thomas joined Scalia’s family for the unveiling. Thomas spoke at the ceremonies and said that Scalia often wondered whether his work would be of consequence in the future. The university named the law school for Scalia in 2016, in conjunction with a $20 million gift from an anonymous donor. The school’s initial choice of name, the Antonin Scalia School Of Law, was revised after opponents of the name change mocked the acronym it formed.